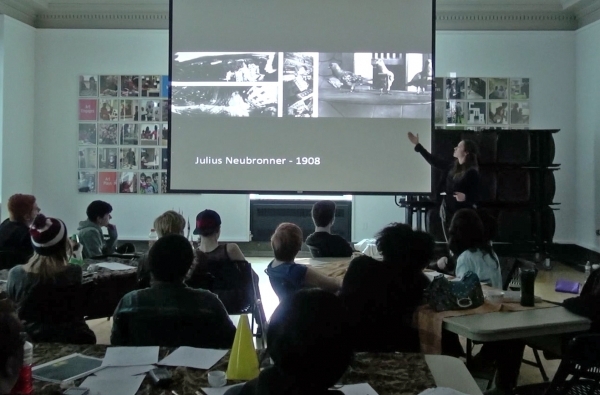 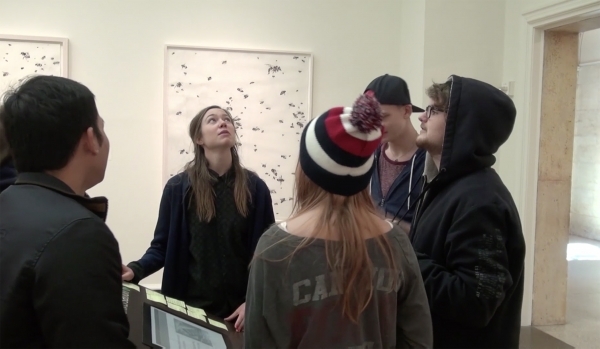 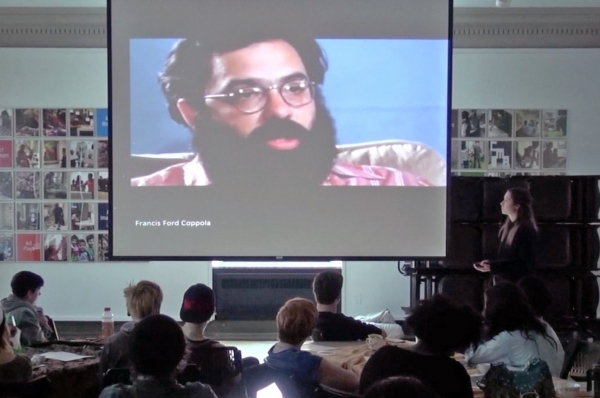 On February 12, 2014 I gave an artist's talk and held a workshop at the Columbus Museum of Art. 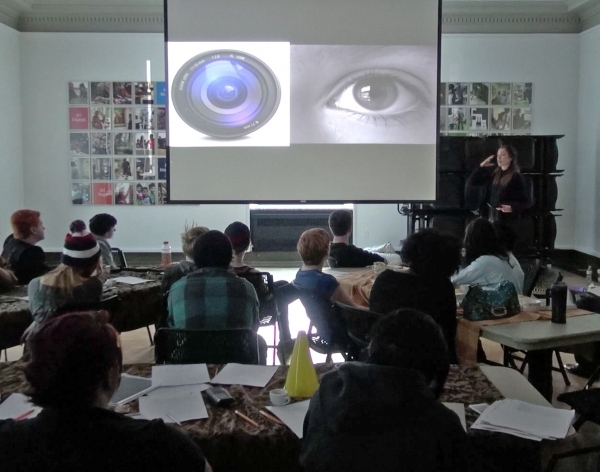 After a brief lecture on the history of surveillance and art, I proposed a project for a group of local high school students involved in Project Pivot. 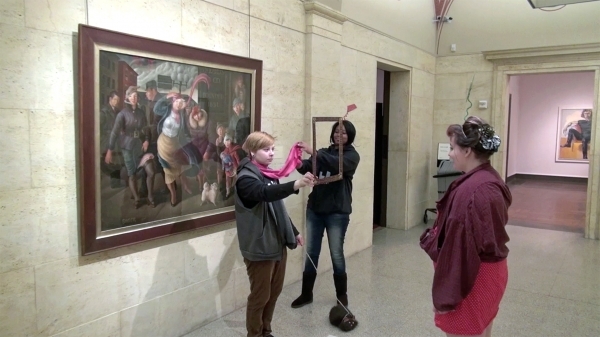 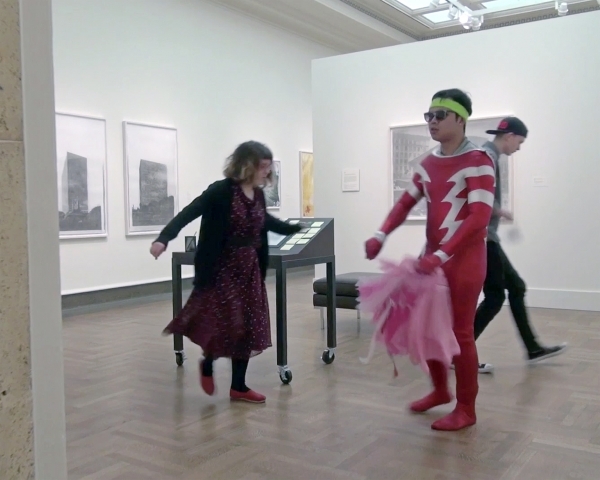 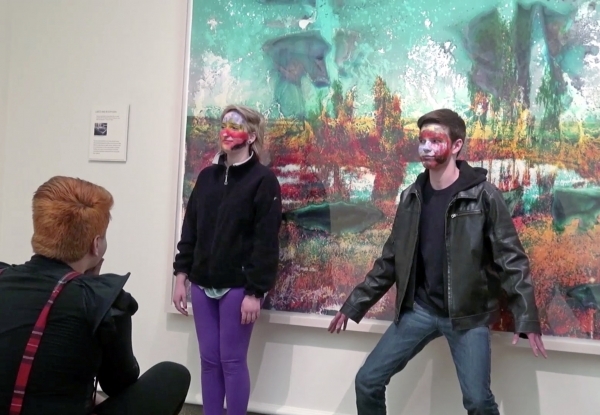 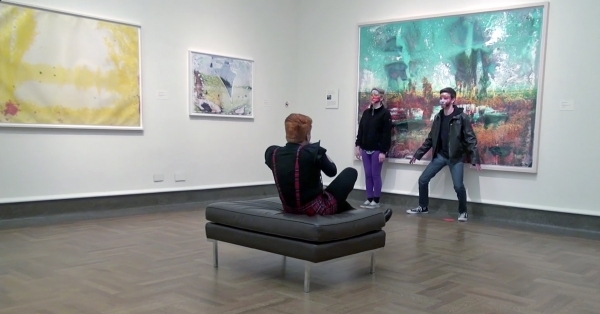 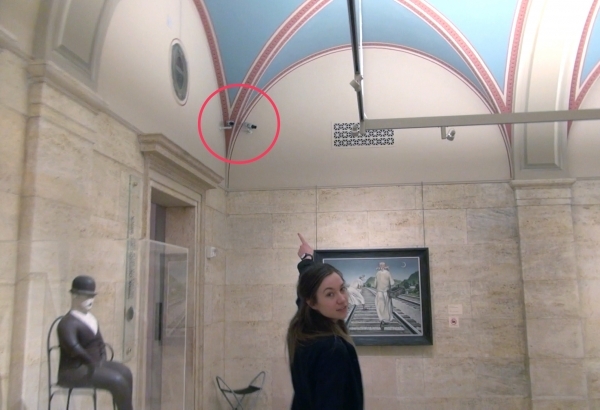 We spent one day at the Museum performing for the surveillance cameras throughout CMA's galleries.